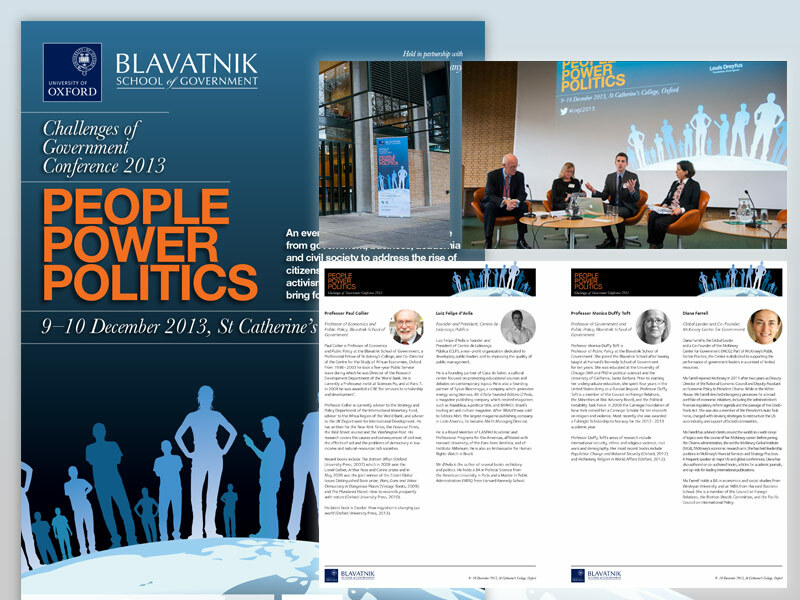 Blavatnik School of Government's Challenges Of Government Conference 2013, 'People Power Politics', is a two-day academic conference presented by one of the newest schools of the University of Oxford. I created the branding for the conference, bringing a consistent and professional look and feel to the materials used to promote and support the event. The brand was used across posters, pop-up stands, large-scale presentations and online, and I also designed the booklets and guides provided to delegates.